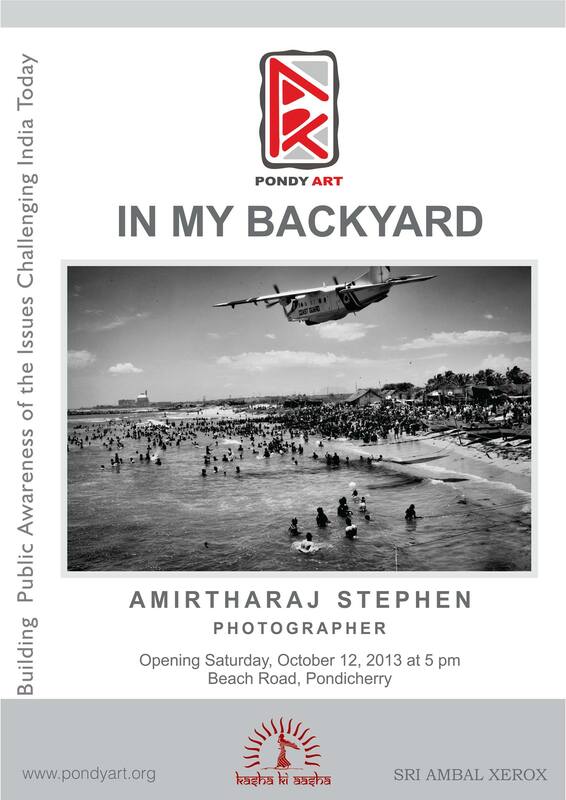 In my Backyard“ is a photo essay on the uprising of the local community against the Govt of India on commissioning of the Koodankulam Nuclear Power Plant (KKNPP). The people have been protesting over 800 days post Fukushima Nuclear Disaster in a non-violent and peaceful manner which have been repeatedly subject to violence by the government forces to clamp down on the protesters. Today Koodankulam protests create a debate on nuclear energy in India. Amirtharaj is a Tamil documentary photographer now working freelance from Bangalore. He was selected for the prestigious Angkor Photo Workshop 2010 and developed his skills under Magnum Photographer Antoin D’agata. He was selected for the Stream Photo Asia Master Class and worked with Giulio Di Sturco. He has assisted Master Street Photographer, Nikos Enconmopoulus from Magnum in 2011. His recent personal project on the effect of the nuclear power station on his village of Koodankulum, Tamil Nadu. The work was nominated to compete in “Colorful Guizhou”, the 6th Photo China Original International Exhibition and in fact was awarded 2nd Prize.